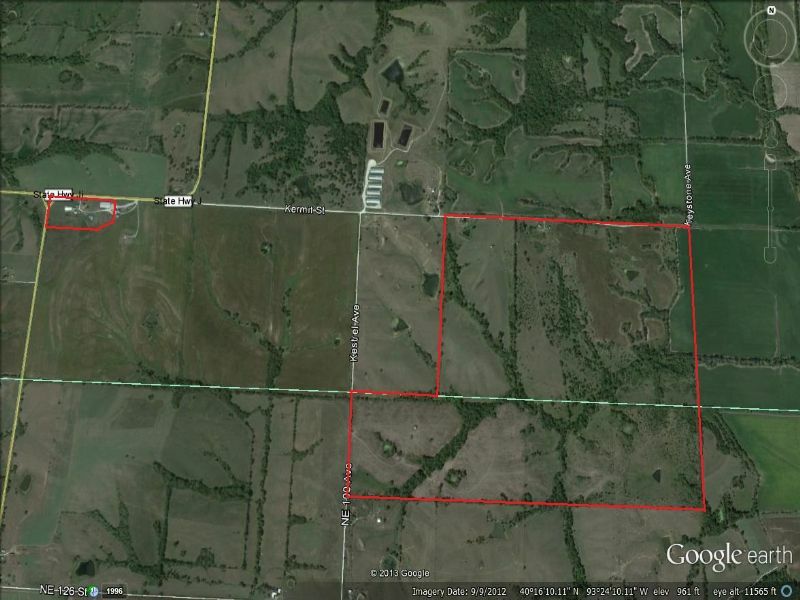 This property offers gently rolling to flat bottom ground farming in North Missouri. The farm currently has a cash rent on the 300 m/l tillable acres. The property also includes 4 houses, 3 of which are inhabitable, and the 4th could be fixed up as a hunting cabin or home. In addition to the homes it also includes an 18,000 sq foot half concrete machine shed, numerous out buildings and smaller grain bins. This property is move in ready and is ready to farm.